In this time and age, who needs a disorganized truck that cannot be used to carry stuff because the weather is unconducive? For a fact; nobody! 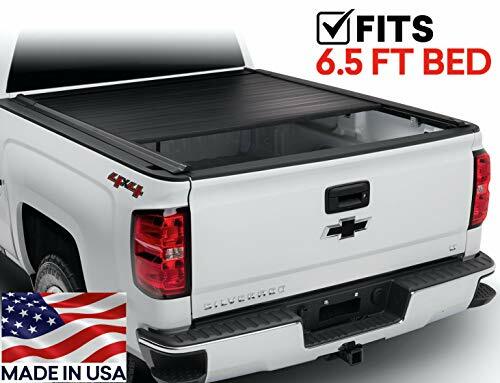 Tonneau covers have made it possible for you to transform your open truck bed into a safe storage area for anything you want to be concealed. There are more than four types you can choose from, and they work perfectly well. But today, let’s find all the reasons as to why retractable covers are the most outstanding among them all, and why you actually need one. You can also read our best tonneau covers article including all types. I. Are retractable tonneau covers waterproof? II. 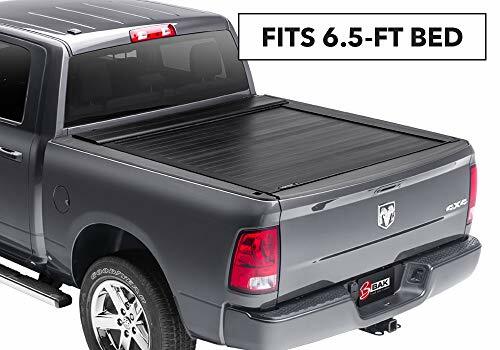 What is the best retractable tonneau cover for trucks? 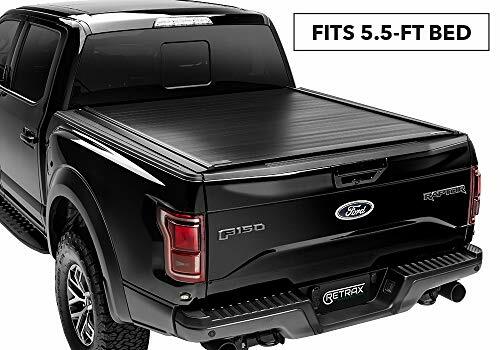 Am torn between hard-folding and retractable tonneau cover. Help! IV. Do retractable truck bed tonneau covers leak? V. Which is the best retractable tonneau cover under $1000? Gator Covers is well known for its quality and sturdy products. Well, this time, they nailed it again with their GatorTrax model. 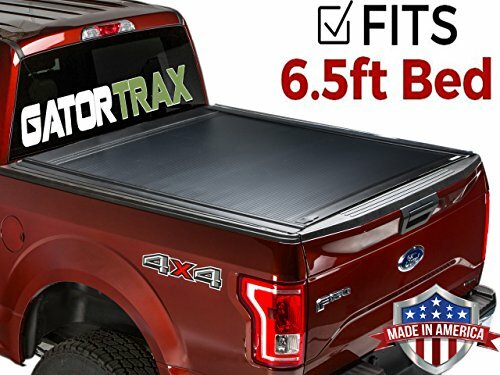 GatorTrax is the best tonneau to use if you want to avoid maintenance costs. It has sealed ball bearings that have no joints or hinges to trap dust, freeze or wear out, thus making the usability and maintenance very convenient for you. When retracting it, there are no moving parts that can jam, unlike the case with non-retractable covers; it has a spiral track system canister. Having been made of LEXAN, a material used in firefighter cockpits, it is durable, moisture-resistant, reasonably lightweight and UV protected. With the resilient matte finish, it looks terrific and can withstand occasional abrasions. You will not have to worry about the security of your items anymore since the cover has an integrated functional locked tailgate. The lockable product from Gator Covers gives you a frictionless glide, making use of an insignificant amount of energy when operating it. This also means that wear-and-tear within the spiral track system of the canister is a fictional story. The installation instructions require you to be keen; otherwise, you will mess up, and it is quite easy to mess up. If you do it incorrectly, you will not realize the full potential of this product. Retrax One MX is the best one to buy if you are seeking a blend of style and strength in your item. It is made using the best tech and material you can think of. A retractable cover will give your truck a sleek appearance, something that the One MX model from Retrax has seen to it becoming a reality. The cover has a resilient matte finish with a gloss that can hardly go unnoticed and keeps it scratch-resistant. It is made of LEXAN, a strong polycarbonate sheet that retracts without hinges and joints to freeze, trap dust or wear out. It has sealed ball bearings on the aluminum support beams for effortless retraction, hence no moving parts or springs to cause friction. Once retracted, you shall have it well stored in its spiral track storage cannister that occupies minimal space. It neither obstructs access nor rubs against itself in the retraction process. You will also have it safe since you can lock and open using a key or a button-press. You can lock it up at any given point you desire; fully open, semi-open or when closed. You will slide it over without causing friction of any sort, a feature made possible by the presence of ball bearings to glide over. This cuts down maintenance costs that come with most non-retractable tonneau covers. Also, you can include accessories when using this product since it has a freed-up hitch. If you slide it over too roughly, you will have the cover scratch against itself; hence you need to treat the item with gentleness. After all, it is a simple slide over, not a brushing exercise against dirty doormats. It is lockable and opens with the touch of a button. A cover with one of the easiest operational techniques; Pace Edwards Switchblade Retractable tonneau has an easy operational and storage procedure. The cover is strong enough to provide all-weather protection and security from thieves. With its corrugated aluminum body with a vinyl top, you can rest assured that it is tamper-proof. It has aluminum panels bonded with patented ArmorTek that is padded with weather-resistant polymer finish. Besides security, this gives the truck a soft, stylish look from afar. You will use the continuous tension spring to roll it over when you want to open or close it, hence eliminating the need to lift or fold the cover; an advantage of using a retractable tonneau cover. It has a full-width handle and pull-strap to abridge the task for you. Note that you will need a Phillips head screwdriver and a 7/16” wrench in the installation step. The robust body of the cover coated with the best materials in this field; aluminum, polymer, and vinyl make it worth every coin you spend worth it. It is also easy to use, as you can slide it over using one hand. Most tonneau cover types have you using both hands. To install the cover, you need to have special tools for the job; a 7/16” wrench and Phillips head screwdriver. It becomes hard when you lack them. However, it is a good thing that you do not have to drill your truck. The M-Series model of Roll-N-Lock gives you compact aluminum housing and has multiple latching positions for you to utilize. Cool, right? The M-Series from Roll-N-Lock is well known for its solid vinyl-over-aluminum construction that makes it last ages without being interfered with by weather conditions and abrasions. It looks good and gives your load a compact aluminum housing in the bed. Also, the maintenance procedure is too easy to go unnoticed. With the heavy-duty torsion drive and smooth, frictionless rotation, it is stress-free keeping the item in decent condition. It is easy to clamp and has an integrated auto-lock system that relieves you of torturous thoughts on how to install it and keep everything safe from theft. With a smooth, frictionless rotation, you can open and close the bed without using a lot of energy. The cover also has a handy strap included in case you need it. It takes a while before you can understand the installation instructions; in as much as they are easy to follow once understood, it takes a while to get them clearly. Take your time if you want to get it right. Looking for a cover that gives you enough room for your extensive amount of cargo? RetraxPro is what you need, as it can conceal approximately 500 pounds cargo! RetraxPro MX has an aluminum construction that makes it scratch resistant and durable. It is easy to maintain and is UV protected. It is one of the most attractive products from Retrax in terms of looks since it has a resilient matte finish on the outer surface. You have come across it now if style is all you need on your truck; takes forever for it to fade. With a release flush-mounted latch, the product can glide over with the application of one hand's glide force, and you are free to access the bed. When you need it locked, whether when fully open, half open or closed, use the key or press a button. Such an incredibly handy feature! You can access the bed and lock it up with the use of the key or using the button, then glide it to the end. It is convenient for anybody with a lot to carry and will not always get an extra hand when packing, or if you are often in a hurry. If poorly installed, you will realize that some water and scorching sunrays will find their way to the concealed package. Be keen and thorough in the installation stage to avoid this predicament. Forget the tedious installation process; Trident Fastrack cover comes fully assembled and requires no special tools to be used. Better still, it sells at a throw-away price. The cover has a robust aluminum construction that renders it lightweight, durable and resistant to dents, scratch, and moisture. Your items shall not be affected by UV rays because it is suited to keep them off the insides of the bed. Probably what will attract you to it when you see it at the shop is its matte black coat – eye-catching. It has 4 lock points; one when the bed is fully open, a closed-lock tailgate and two in the middle section for you to pack, offload or conceal regularly shaped items and leave those awkwardly shaped exposed. It is easy to install it and fits perfectly when you purchase; custom-fit your make and model if you want to. The easy-to-install and glide product from Trident comes fully assembled, hence saving you a lot of hustle. It is one corrosion-resistant cover that can be flush-fit and leveled to look as perfect as you had imagined. With long-term usage, the protection is likely to grow less resistant to harsh weather and let in some moisture. Note that this is after significant long-term usage. A cover that gives you full access to your bed without much ado is a cover that performs its function appropriately. That cover is Vortrak from BAK Industries. BAK Vortrak comes in different sizes; check your bed size before you can order. While at it, allow yourself to admire the classy matte finish the cover has. It gives your truck that low profile sleek appearance desired. Its aluminum slats that glide along heavy-duty aluminum rails are resistant to abrasion and dents. When thinking of the locking system, check the multiple locations at which you can lock it. When retracted into the space-saving spring loader cannister that demands minimal maintenance, it gives you full access to the truck bed. It also has an easy cable release on either side of the truck so that you can operate it from any of them. The cannister that holds this retractable cover saves so much space; you shall be glad to have full bed access to do your thing. It is one of the durable covers that are easy to use, look good and provide maximum safety for your cargo. When maintained inappropriately, the cable release may tend to be faulty. Ensure that you maintain it properly and pull it with moderated amount energy. Also, keep it stored nicely so that it cannot lose its moisture resistance because it can. Talk of security; as the name suggests, Roll-N-Lock comes with an integrated security system that lets you locomote peacefully, knowing that your belongings are safe under it. This cover is made of a high-quality powder-coated aluminum body that gives it a sturdy feature. It also makes it withstand all sorts of weather and keep your concealed belongings intact. Moreover, the cover is easy to install, having been equipped with a clamp-on design. This definitely means that you have no use for extra tools and drilling of the bedrails. You will be glad to know that you can use the item as you please. It is easy opening and closing it because you slide it over; no need for snapping or lifting it as it is the case with other types of covers. This is made possible by the rotating lever included. When done loading or offloading, you can use the tailgate locking system to do the necessary. Not even a knife can cut through. The cover gives you full/partial access to the bed; whichever you want. All you have to do is unlock and slide it over. It is easy to install, use and store, hence making it a cover that serves its purpose maximumly. If you do not maintain it as required, you will have it looking old or damaged in no time. Make it your personal responsibility to look after your concealer – it is not so hard. Yes, they are. The material used in the manufacture of retractable tonneau covers can be either or a blend of vinyl, polymer, LEXAN, and aluminum. These are materials that are weather-resistant and can keep moisture and water from reaching the inside of the truck bed. However, with extended use and poor maintenance, your retractable tonneau cover can lose its water-proof ability. Ensure you store it appropriately to avoid breakage and abrasion that can interfere with its quality. Well, a tricky question. Retractable tonneau covers are generally too good because they are functional and efficient. The best brands that have proven to produce high-quality retractable covers in the past and present times are Roll-N-Lock, Gator Covers, and Retrax. Therefore, the best retractable tonneau cover for your truck could be either of the following. Read our review to get a clear insight into why and sample more top-rated retractable covers. Hard-folding tonneau covers are the folding type that can be folded mostly in three segments (tri-fold) to either allow partial access to the bed or fold all the way up for full access. They are common in the market and are suitable for regularly shape cargo that fits in, and can be opened partially but with limited space to allow in awkwardly shaped luggage. You are ready to enhance the security system on your own. With a retractable tonneau cover, you can access the bed by simply gliding the cover over to a distance of your liking. It comes with an integrated locking system that can be customized to your level of liking. Moreover, retractable covers are easy to use, give you unlimited full bed access, have minimal maintenance costs, are of unbeatable quality and friendly warranty policies. You just need the money to afford them. So yes, retractable truck bed tonneau cover it is! They rarely do. In extreme circumstances where the rain is really heavy, the maintenance standards have been ignored, the installation was poorly done, or the cover is way too old, you will find a retractable cover leaking. Otherwise, they are well built to withstand water on them without letting it into the bed. Pace Edwards Switchblade and Trident Fastrack tonneau covers are among the most affordable retractable covers in the market. They cost under $1000 and are of value way beyond what you pay for. This is because of their exceptional functionality. 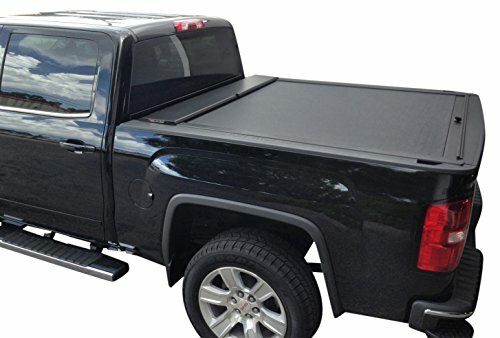 The best tonneau cover is not the most nice-looking, expensive or one with the highest sales; although these are significant factors as well. It is one that works best for you, will protect your items and allows you to access the truck bed as you like. 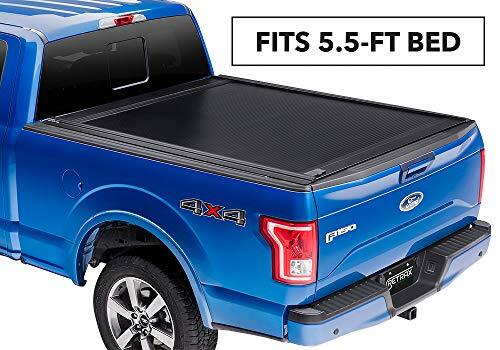 With the elaborate reviews on the best retractable tonneau covers, there are, it is highly unlikely that you will go wrong in your choice. You are now in the most exciting and critical stage into your dream cover; shopping!